Welcome to the Smartline theme documentation. 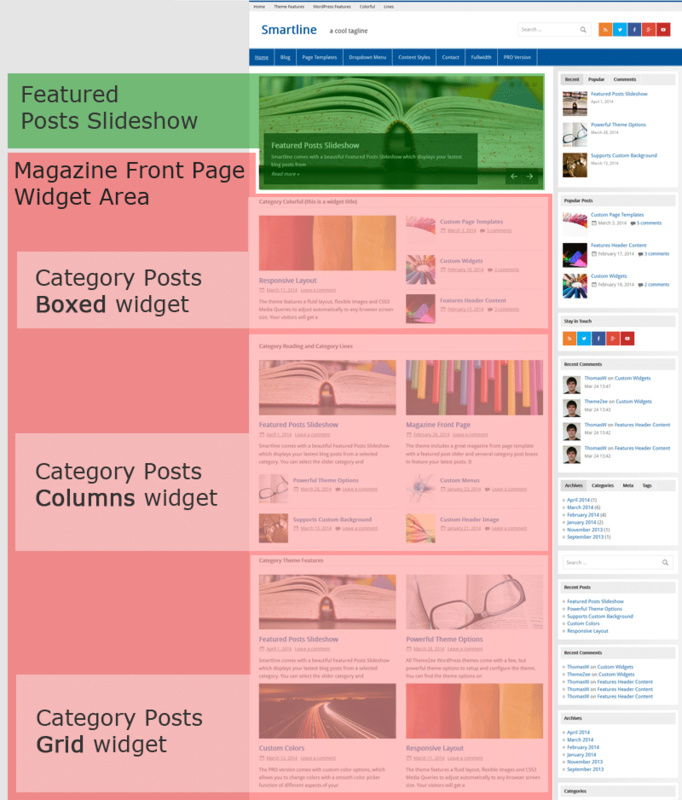 These instructions explain how to configure the theme options and setup the front page template. 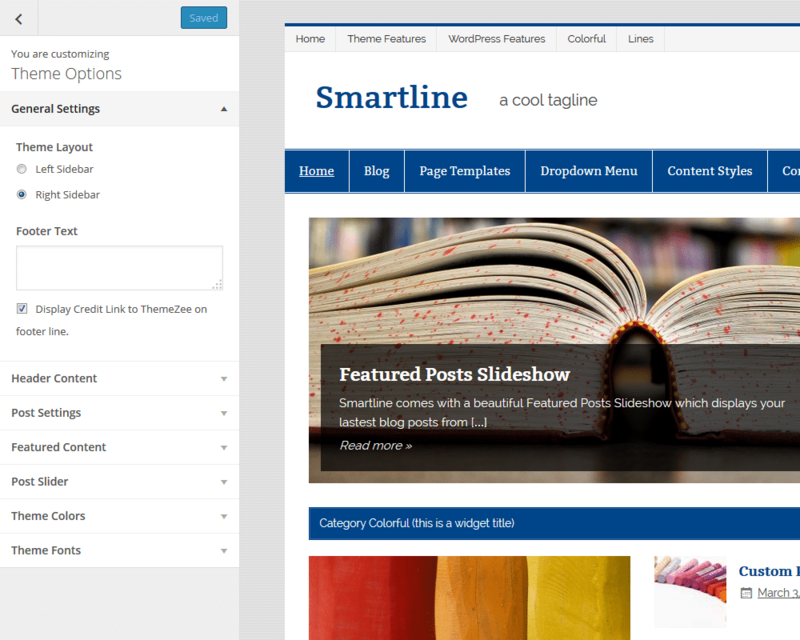 Please be aware that the PRO Version of Smartline is an Add-on plugin for the Smartline theme. Therefore you have to install and activate the Smartline Lite theme and install the Smartline Pro plugin in addition. 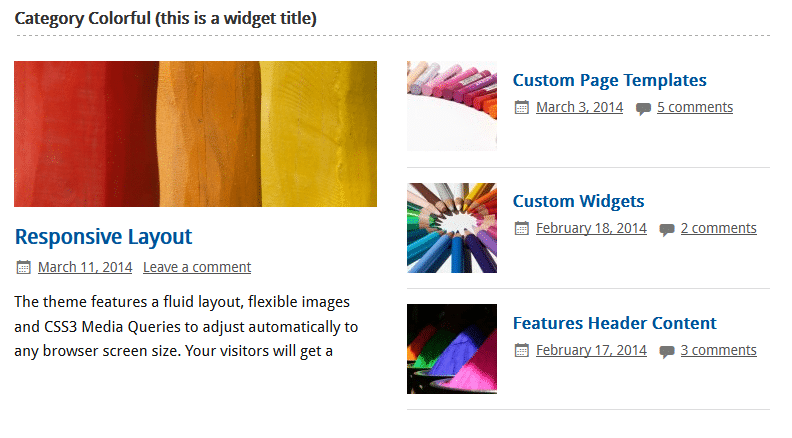 You can learn how to install Plugins on the Install WordPress plugins tutorial. In case you are using the old Smartline Pro theme and want to switch to the new Pro Version Plugin, please follow this tutorial. 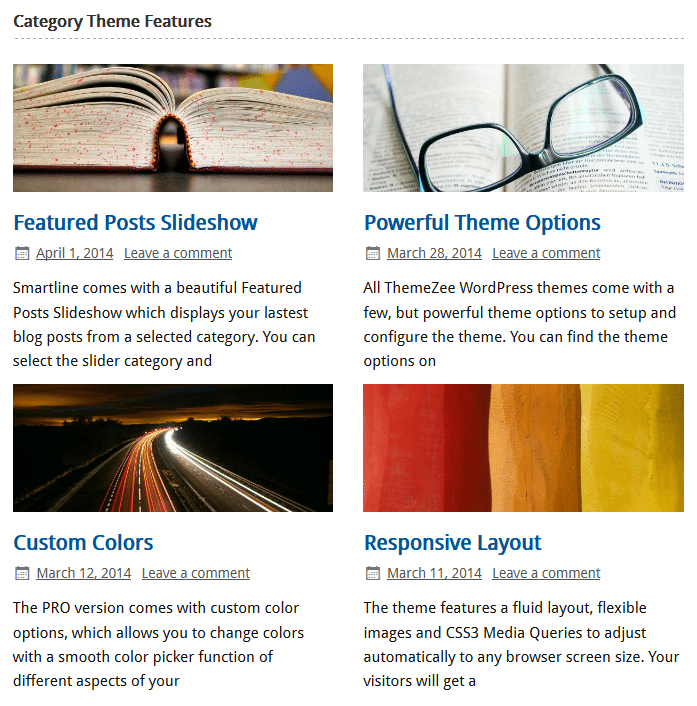 Smartline supports the awesome Theme Customizer. You can configure all theme settings on your WordPress admin panel → Appearance → Customize on the “Theme Options” section. Social icons are easy to add with Smartline. We simply use custom menus for social icons. 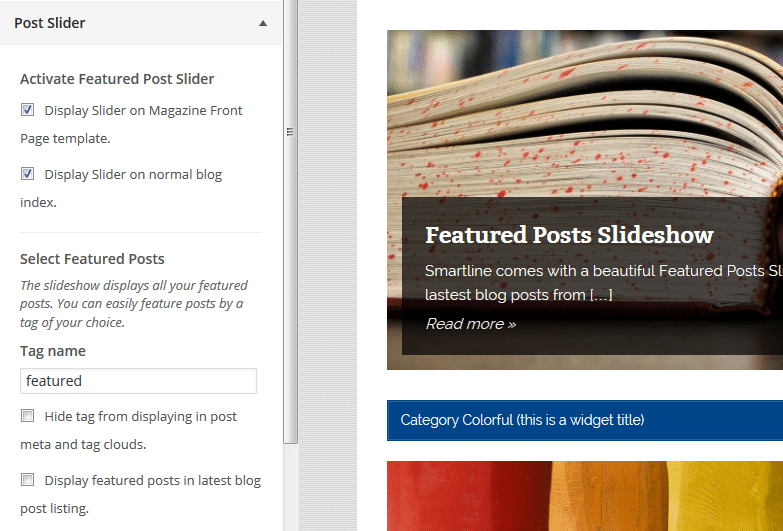 Smartline comes with three different Category Posts widgets geared to creating a magazine-style site, but you can also add any other widget you like. Your uploaded featured images should have a minimum image size of 880×350 pixels in order to look good at any screen size. The slider will show a grey image placeholder in case you haven’t set a featured image. 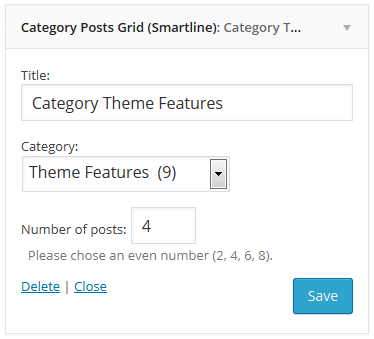 Smartline supports a beautiful Featured Posts Slider which displays the latest posts with a tag you’ve configured. The Pro Version of Smartline is an add-on plugin which you can purchase on the Smartline theme page. You can download Smartline Pro on our downloads page. If you need help to install the plugin please visit our Install WordPress plugins tutorial. 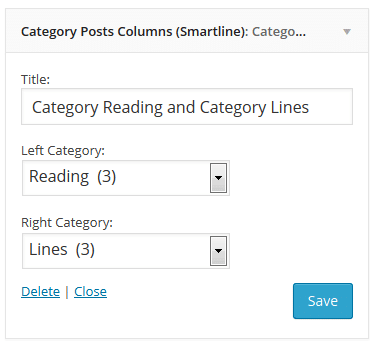 Smartline Pro adds four widgetized footer areas. You can add your footer widgets on Appearance → Widgets. The main content column width is 880. The Featured Images used on posts are 300x200. The Featured Images used on the Slideshow are 880x350. The thumbnails used on the Magazine Front Page template are 600x240 (big thumbnails) and 90x90 (small thumbnails). The Custom Header image will display at a maximum width of 1340 and a flexible height (default height = 250). 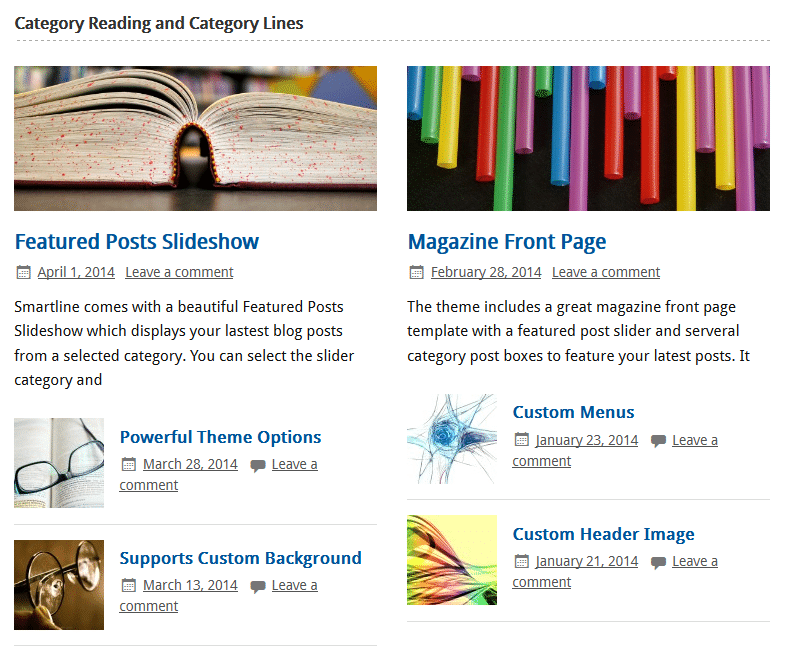 Thank you so much for using the Smartline WordPress theme.